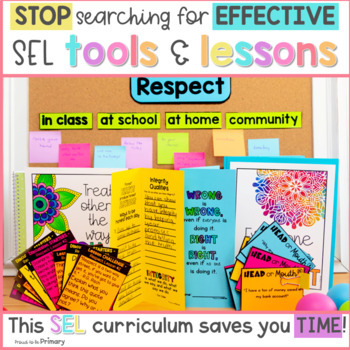 This respect SEL curriculum includes 5 detailed lessons filled with hands-on and mindful activities that teach older kids about what respect means, ways to show respect, integrity and honesty, accepting differences, and stereotypes. 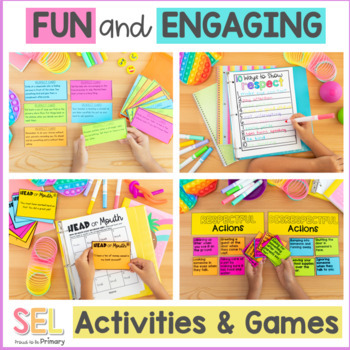 The lessons and activities work great for morning classroom meetings or daily lessons, school counselors and classroom teachers, and kids in grades 3-5. What does this Respect unit cover? Lesson 1: What is Respect? ★Kids will learn to describe what respect is and explain it in terms of the ‘Golden Rule’. Video links are provided to support the lesson topic. 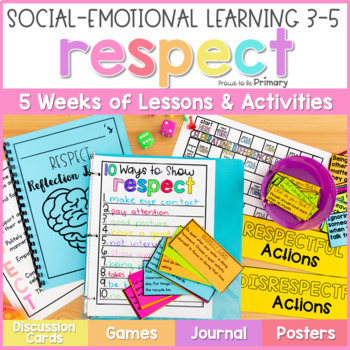 ★Kids will learn to describe and demonstrate ways to show respect. They will learn to understand and describe the differences between disrespect and respect. ★Kids will learn to describe what honesty means and how that relates to integrity. They will be encouraged to demonstrate honesty and integrity in their actions and words. ★Kids will learn to understand and show appreciation of the differences and similarities they each possess. They will define related terms and make connections during discussions. ★Kids will learn to define stereotypes and describe different types of stereotypes. They will explain how they can influence attitudes and how they can lead to problems. 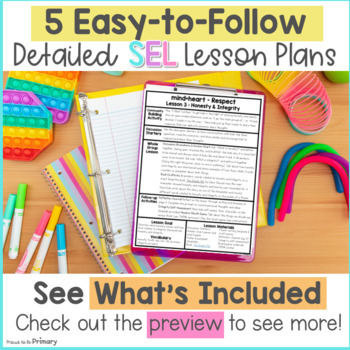 Look at the PREVIEW for a look at this SEL unit up close and the variety of lessons and activities included! Teachers are provided with lesson materials, instructions, and a layout that is simple and easy to implement. mind+heart is a flexible SEL curriculum that can be taught when educators have time, while the recommendation is to teach a lesson once or more a week. The format works well during morning or classroom meetings. mind+heart loosely aligns with the CASEL framework of the 5 core competencies for SEL, as well as other state SEL initiatives, which are research-based. It provides educators with an affordable and accessible option that is comprehensive and appropriate for 3rd, 4th, and 5th grade elementary classrooms.